At this game you will have new job. 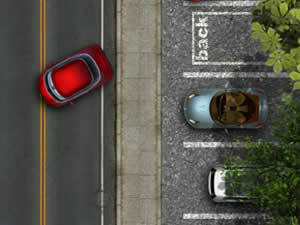 You will be personal driver with red car. The boss has a big exception and you need to be the best. Fast, safety and loyalty will be your major attributes. Drive around your boss and park correctly to new finish line. Try to pass all four levels without damage your car and before times is out. Use arrow keys to play this game and enjoy!